Affectionately referred to as the “Spice Islands,” the island of Zanzibar belongs to a cluster of islands that stretch their way down the East African shore, a few miles from mainland Tanzania. 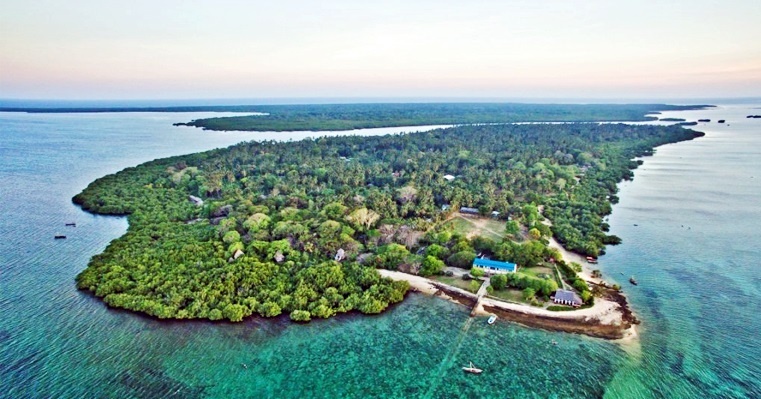 Unguja is the main island, which is a UNESCO World Heritage site, the sister island Pemba with its huge clove plantations and the rest of the archipelago, famous for its majestic coral reefs and playful dolphins. Here are Zanzibar’s top 10 best islands. This is the main island and home to the UNESCO proclaimed, Stone Town. It’s the main commercial and administrative centre and home to the largest airport. About 1 ½ hours from top to bottom, there are tons of beaches, lots of attractions and a huge range of tropical island type accommodation establishments. Pemba, known as the Green Island, is not as vibrant as Unguja when it comes to buzz and hype. But Pemba boasts of pristine beaches and azure blue waters that attracts divers and adventurers looking for an ‘off-the-beaten-track’ experience. Mafia is Arabic for a group of islands and is the third largest. It is governed from mainland Tanzania and was once a major trading hub. Famous for its whale shark season from October to January, the pristine coral reefs, groves of mangroves and the incredible marine park. Located a few miles off Zanzibar, Chumbe island is identified by a tall white lighthouse, which rises sharply into the sky. It was erected by the British in 1904 and marks the battle of Zanzibar between the British and Germans. Mnemba is famous for its coral reefs and pristine beaches. Nicknamed the “Millionaire’s island,” it lies five kilometers off the northern end of Zanzibar. Mnemba, out of reach for lesser mortals, is accessed via a 90-minute drive from Stone Town and guests have to board a boat for another 20-minutes ocean transfer. Another name for Thanda is ShunguMbili. Thanda is owned by Swedish businessmen who discovered it when on an aerial hunting tour. It measures only 200 by 250 meters and only takes 20 minutes to walk across on foot. The resident villa contains enough room for ten adults in large en-suite bedrooms with space for children. Also called Prison island, Changuu is a must visit for every traveller due to its powdery beaches and lush vegetation, azure waters, and coral reefs. It is located about 30 minutes by dhow from Stone Town and is home to a tortoise sanctuary which is the major attraction. There is also a luxury accommodation, cafes and a restaurant. Located off the coast of Dar es Salaam, about 30-minute boat ride, Bongoyo is a favoured destination for day trips, sunbathing and snorkelling. You can visit the magical beaches, trek across to the Shark lagoon or explore the diverse marine life. There is a beachfront restaurant that serves some delicious seafood on the island. Enjoy the beautiful scenery. Mbudya island is a 20-minute boat ride from Dar es Salaam. It offers a wide range of water activities including snorkeling and sunbathing. Pangavini is located 25 miles north of Zanzibar and is an uninhabited island with a rocky coastline with no beaches. If you’re a fan of snakes and other reptiles, then Pangavini is for you.